The major difference between Five Card Stud and Seven Card Stud is that in Five Card Stud; each player receives five cards as opposed to seven. The first card is dealt face down followed by the following four being dealt face-up. Aside from that, the two games are played in a very similar manner. 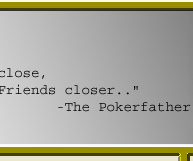 Before any cards are dealt, all players must ante. The amount of the ante reflects that table’s limits, the lower the limit, the lower the ante. $0.50/$1.00 tables have no ante, while $10.00/$20.00 tables have a $1.00 ante. In Five Card Stud, players are dealt one down card (hole card) and one up card. The player showing the lowest card by suit (highest - spades, hearts, diamonds, clubs - lowest) must bring-in the first round of betting with a forced bet of half the lower limit. The software will prompt the player who is to begin the betting. 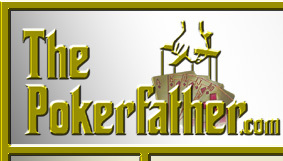 The next player to act, left of the first better, has the option to either complete the bet, call or fold. After the initial betting round, three more up cards are delivered, with a round of betting after each card. In Five Card Stud games, a bet and three raises are allowed. The final raise is capped and the only option that a player has at that point is to call or fold. The first person to show their hand is the last person to show strength with a bet or raise. 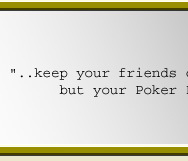 At the Showdown, all five cards are used and the player holding the best poker hand wins the pot. Should multiple hands tie, the pot is split with any odd amount going to the player who last showed strength with a bet. 1. A maximum of one bet and four raises are permitted per round in a multi-handed pot. 2. Check raising is permitted before and after the draw. 3. Any card exposed by the dealer before the draw must be kept by the player. 4. 5 cards make a playable hand. If dealing and drawing cards is finished, and less then 5 cards are in any player’s hand, it is a misdeal. 5. Draw rules are subject to house change. In most cases a player may draw up to 4 cards during any one round. 6. In the event another player asks you how many cards you drew, you are obligated to answer unless a betting action has taken place since your draw. 7. During the draw an exposed card cannot be accepted. In the event of an exposed card the draw is completed in order and the next available card replaces the exposed card.